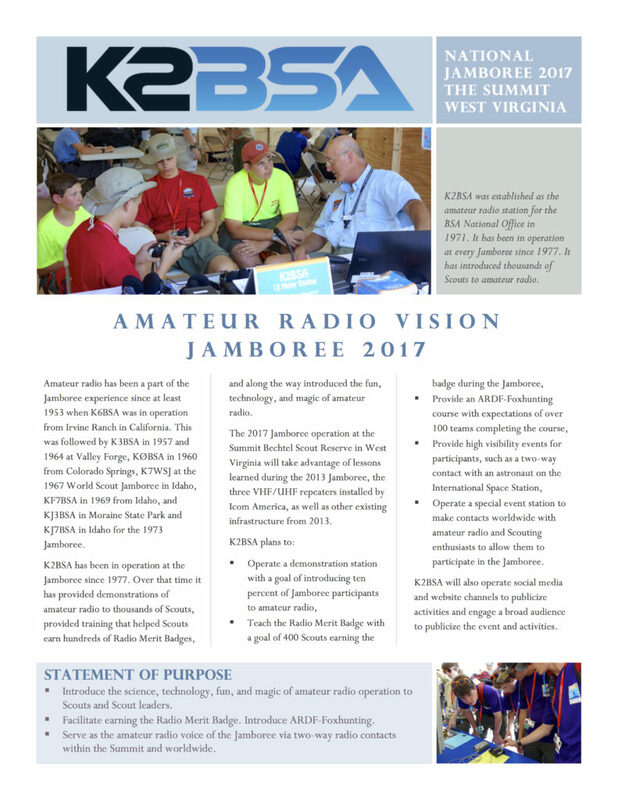 We've pulled together a vision document for the K2BSA amateur radio operation at the 2017 National Jamboree. This document takes into account factors that were encountered and lessons learned at the first Jamboree at the Summit Bechtel Scout Reserve in West Virginia during the 2013 National Jamboree. It also poses a few new approaches for operations. Click on the link below or the image of the first page of the document.